Summer weddings are the most popular time of year to tie the knot. But it doesn’t mean that you are guaranteed glorious sunshine. English weather is always unpredictable so it’s important you prepare! 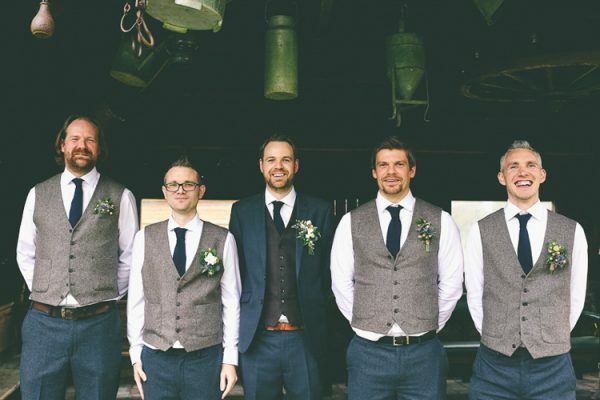 Take a look at our top ways to keep warm at English Summer weddings so you and your guests can relax and enjoy your special day. Everybody loves a good bonfire, so what better way to keep your guests warm than a romantic open fireplace. You may be really lucky if your wedding venue already has one, so be sure to ask if you can use it during the evening celebrations. 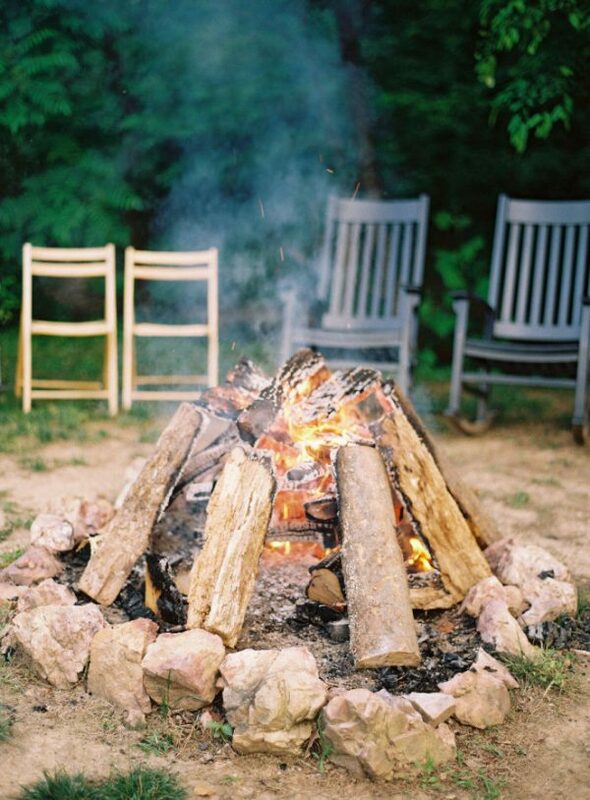 If your wedding venue doesn’t (which will most likely be the case), ask if you could bring your own fire pit to make the cooler evenings more bearable. You could hire some sofas or armchairs and create a cosy lounge area – which is especially perfect for the elder members of the family to relax away from the party. 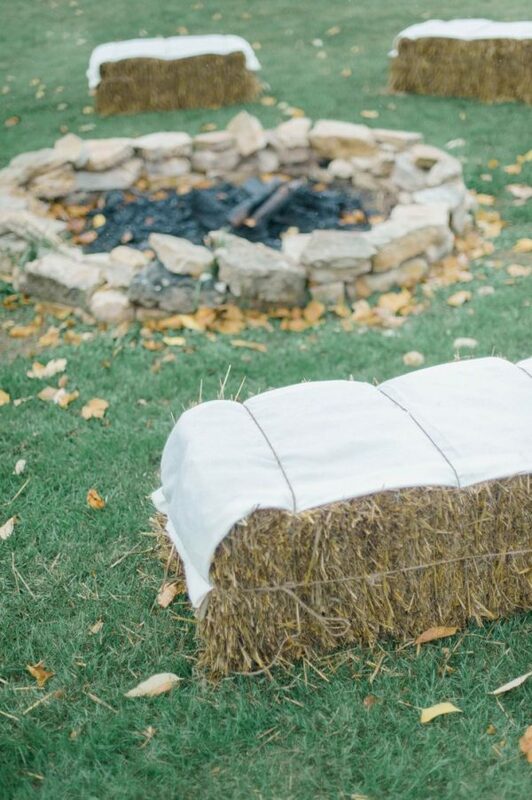 If you’re planning a country barn wedding, hay bays are the perfect choice for your chill-out area. 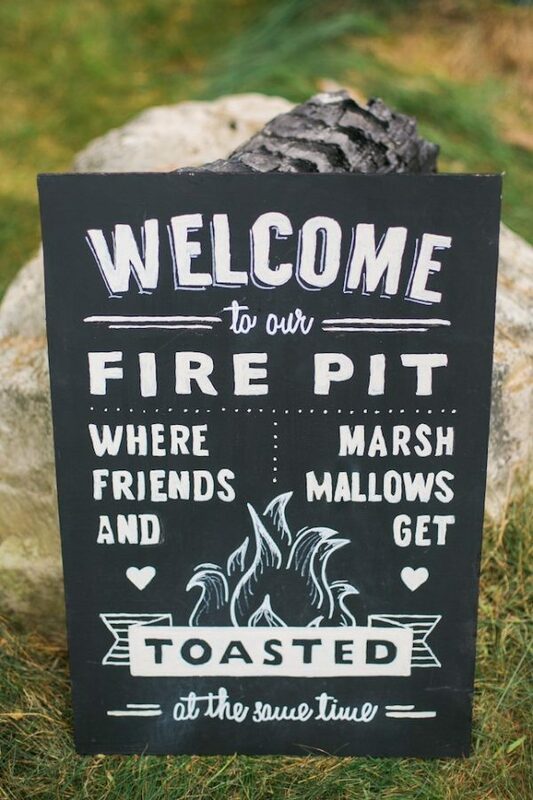 If you do choose to have an open fire pit during your evening reception, marshmallows are a must-have! 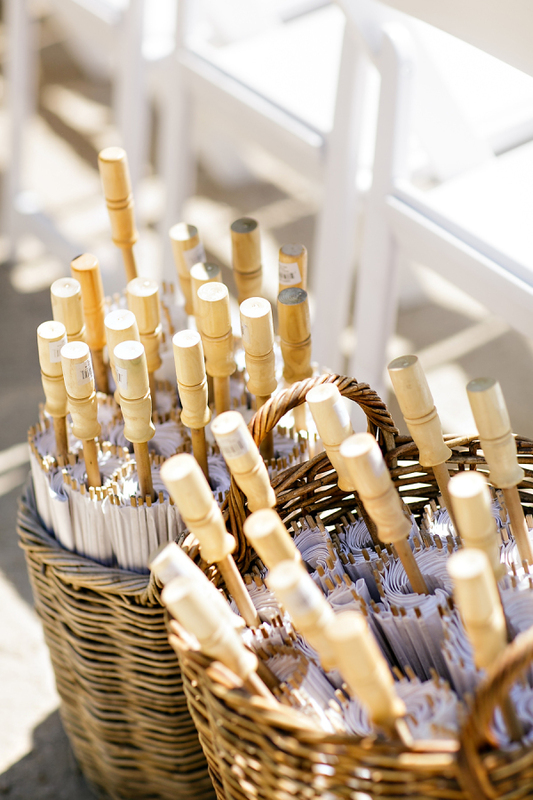 Treat your guests to marshmallows as wedding favours – it’ll give them a subtle clue about the evening reception. 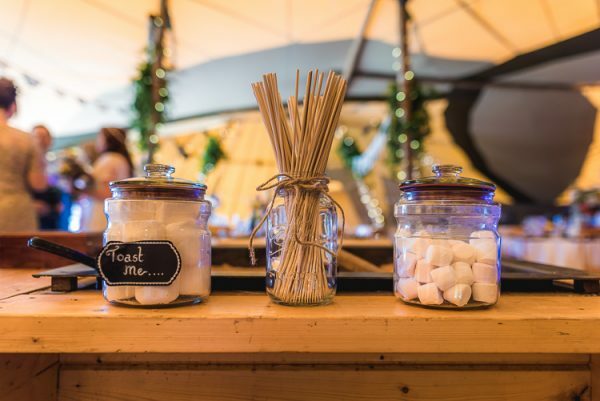 Alternatively, you could have a marshmallow bar area, where guests can create their own marshmallow masterpiece! Buy an assortment of different marshmallow colours and shapes for a fun touch. I also love the idea of warming hot chocolates and mini marshmallows in the evening. Keep it modern by serving in copper or silver mugs. Add a few flavoured syrups to the table and you’ve got your very own mini hot chocolate bar! A piping hot drink in the chilly evenings is always appreciated, and your guests will love the idea of it. 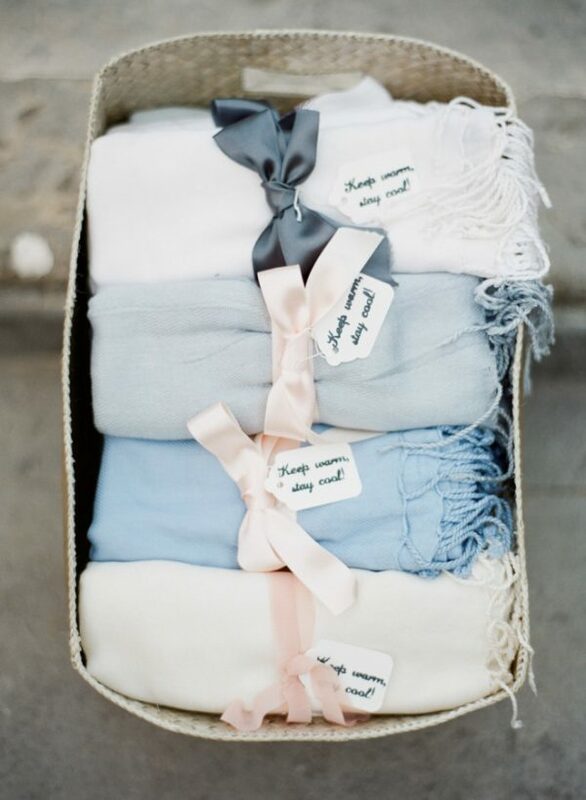 Provide your guests with some cosy shawls and blankets. 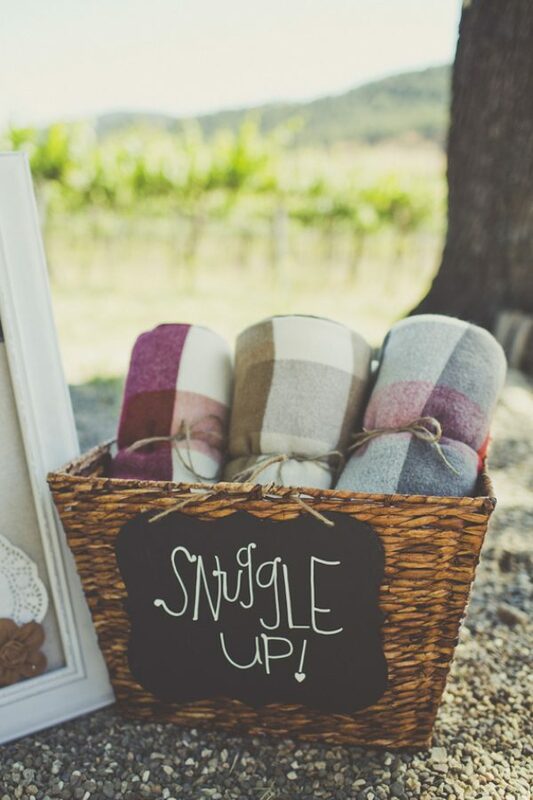 Dot around your wedding venue in baskets with some cute signage to match, so your guests know they can help themselves. Your guests will really appreciate the gesture, especially if you’re having an outdoor wedding reception. If your budget allows it, they could double up as luxury wedding favours. Hiring a food van that serves delicious warm food! 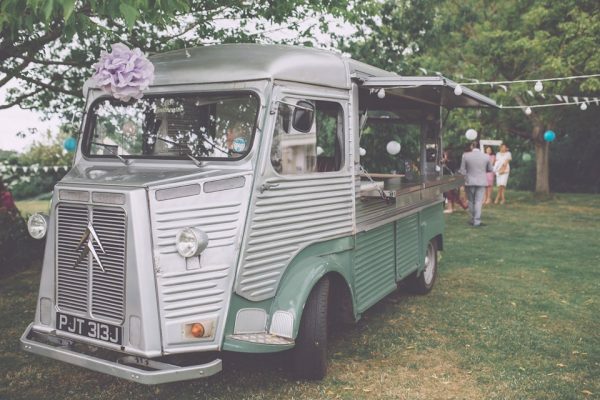 A wood-fired pizza van or rustic burger van is a great way of keeping your guests both warm and fed late in the evening. Even if you’re having a wedding in the middle of Summer, there is always a slight chance of rain! 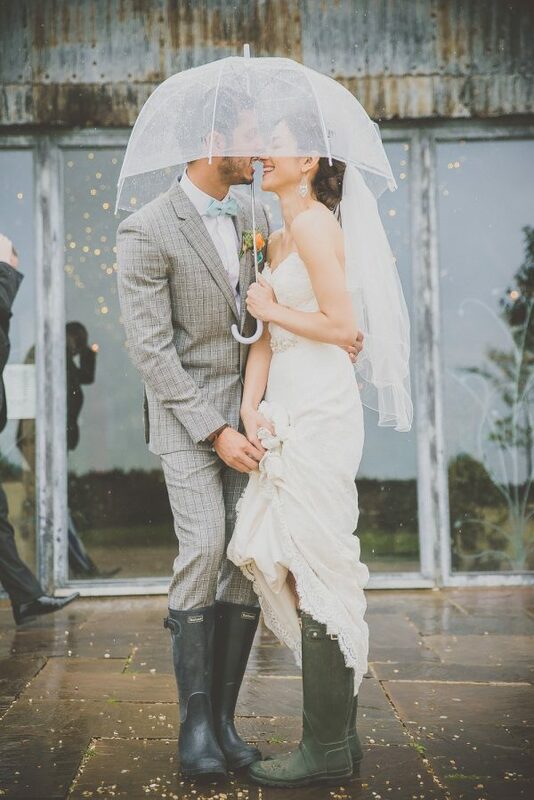 Wedding wellies and umbrellas are becoming increasingly popular at festival-inspired, country and outdoor wedding celebrations. Not only do they keep you dry, they create some wonderful wedding photograph opportunities. Choose wellies that match your colour scheme for the bridal party and avoid a wedding washout. The weather at Summer weddings can be unpredictable, so keep an eye on the forecast in the lead up to your big day. If it’s going to be chilly or raining prepare your guests in advance and suggest that they bring coats, jackets or umbrellas. If you’ve got a wedding website, be sure to update it with the weather forecast. Accessories your bridal outfit so you stay warm as the evening draws in. 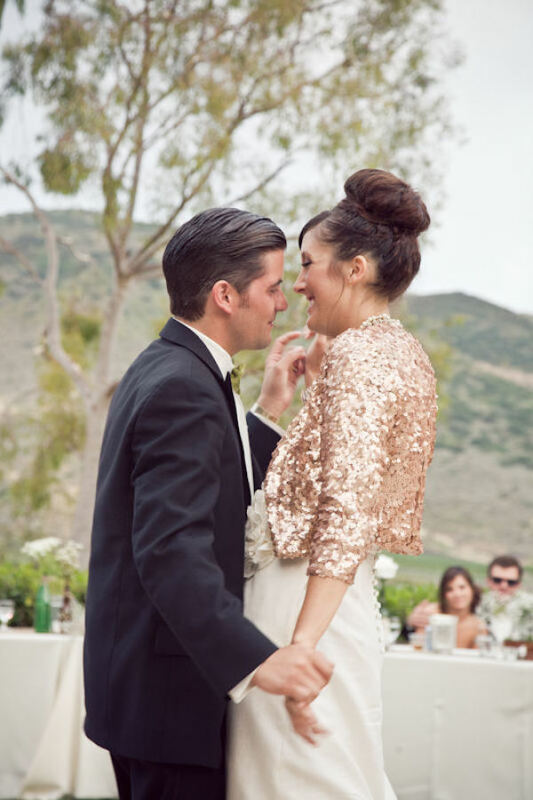 A fab sequin jacket will look super glam while keeping you cosy, meaning you can dance the night away without worrying about being cold. A tweed suit will keep your groom looking stylish and feeling warm. Keep cool during the day with a crisp shirt and then add layers such as a waistcoat and jacket for the evening. English Summer weddings are beautiful. We hope you’re feeling inspired after reading our quick and simple ideas for keeping warm.